Septs were family names that a clan could regard as loyal, either families related to the clan by blood, or families that obtained protection from the clan. 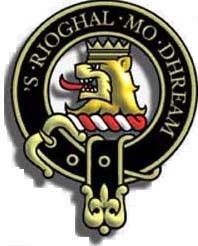 In the times of the Scottish Clans the spelling of the name and the inclusion or exclusion of the Mac or Mc was the preference of the individual. Sometimes a serious family dispute would lead to an individual changing the spelling to show this, or a change might be made to show allegiance to another branch of the clan, or to avoid a persecution. This created the blood related septs.